A sign your industry has serious issues and really needs to take a long, hard look in the mirror: China won’t even buy your product because of health and safety concerns. 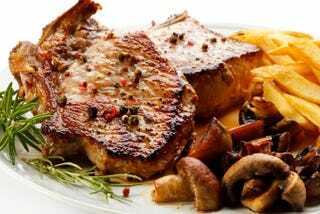 The particular ingredient in question here is ractopamine, a beta-adrenergic agonist commonly utilized in the pork industry to increase muscle mass, which leads to a higher price per animal. It could potentially have side effects in humans and is currently banned in about 160 countries, although the FDA does not believe available studies constitute a definitive link. One of those countries is China, the world’s largest emerging market for pork. As GrubStreet’s Clint Rainey reports, the US pork industry is seeing the issue with potentially cutting yourself off from your biggest customers and reducing or cutting off the amount of ractopamine they use. It’s worth remembering that China itself does not have a particularly good track record when it comes to food safety. There was the Fast Food expired meat scandal, wherein Chinese suppliers to McDonald’s, KFC, Burger King, Starbucks, Pizza Hut, and (gratifyingly) Papa John’s were found to be using meat that had fallen on the factory floor as well as expired meat mixed in with fresh meat. There’s also the fact that for some reason, pet treats and pet food from China have a very bad habit of killing thousands of dogs. I bring these instances up not to point out “ooh, look how horrible China is,” but to use them to illustrate the stark disaster that is the US factory farming industry. When the country where things like that regularly occur takes a look at your industry practices—which are horrifying across the board—and go “yeah, nope,” maybe it’s time for some self-reflection. The sad fact is that almost certainly won’t happen beyond a reduction in ractopamine in particular—especially since US courts are just peachy with the factory farm industry creating antibiotic-resistant pandemics. U-S-A! U-S-A! Plagues for all! Economically viable synthetic meat can’t get here soon enough.